Mender is an end-to-end open source software updater for embedded Linux devices. 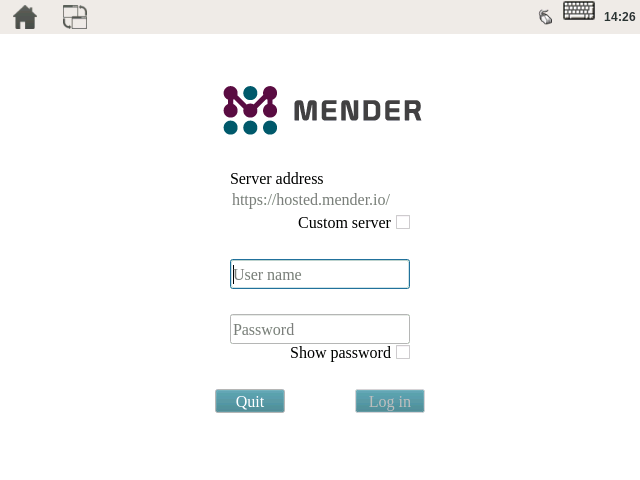 Mender is a server-client application that allows you to deploy an image-based update from the server-side component to your connected clients (device or fleet of devices). 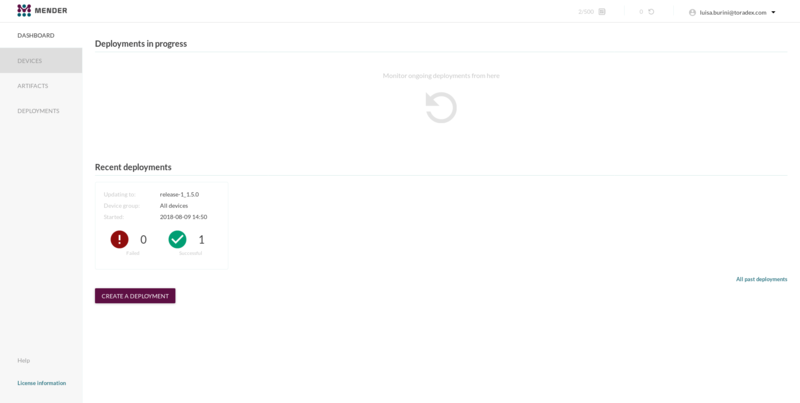 The deployment is done securely using HTTPS and the partitioned setup (dual A/B rootfs partition) makes sure your device will stay up and running should anything interrupt the update process. 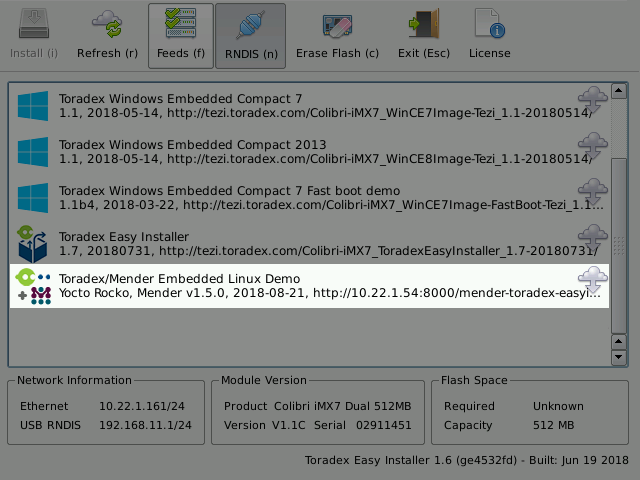 Hosted Mender delivers a secure and robust update server as a service and now it is fully integrated in the Toradex Easy Installer image format. 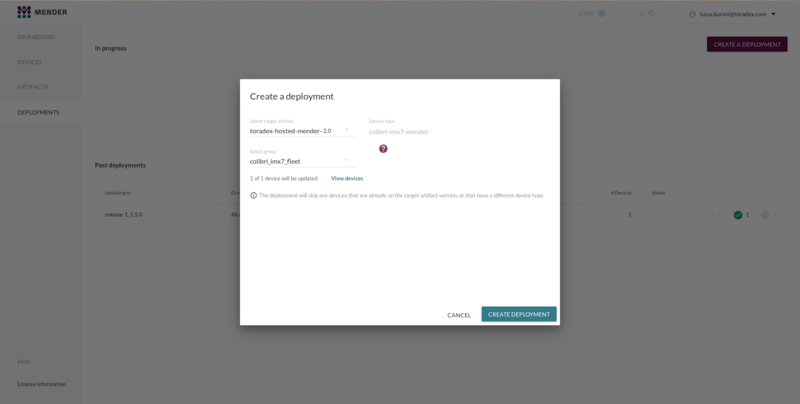 This integration enables Over The Air (OTA) updates in a out-of-the-box experience for Toradex customers. While you can use a wide variety of displays and monitors, additional configuration may be required for a specific setup. A section in the end of this guide provide instructions about display and touch screen configuration. This section provides instructions for you to quickly get started with Mender Easy Installer. 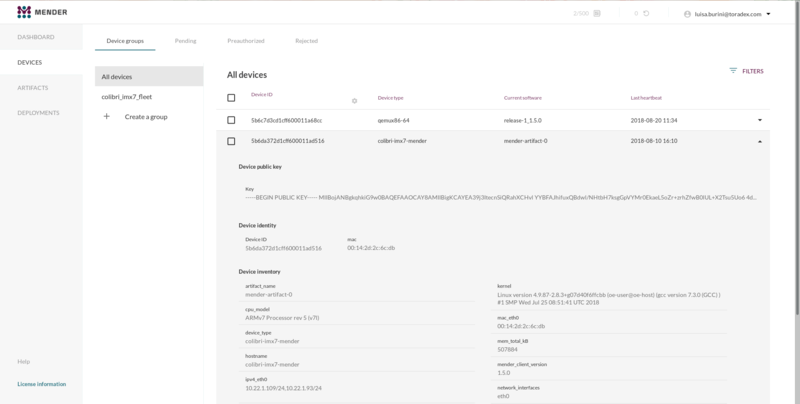 Mender enables the management of software updates to connected devices over any TCP/IP network. One can update devices over-the-air (OTA) with Hosted Mender which is a secure Mender Server with monthly subscription. 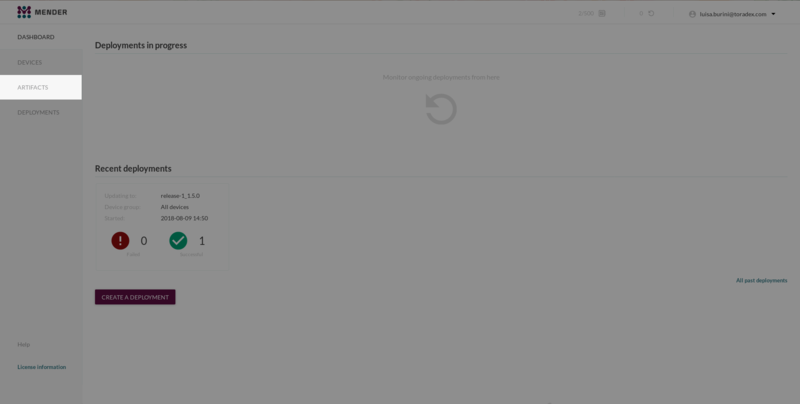 In your host PC, sign up to Hosted Mender or log in if you already have an account. 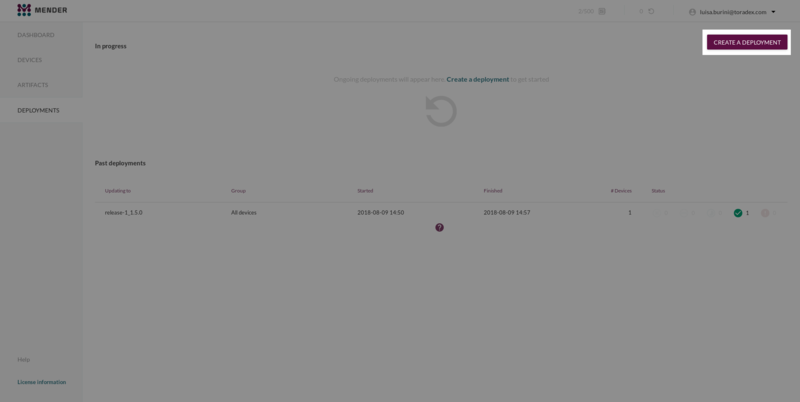 Go to the Hosted Mender dashboard . 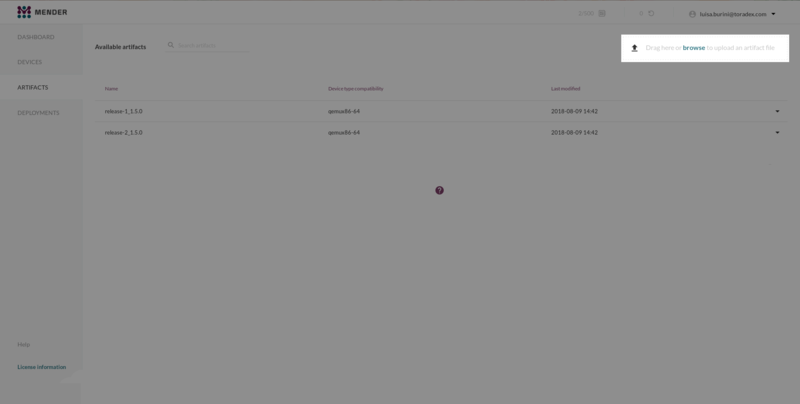 For more information about how to create your own image artifacts and deployment head over to the Colibri iMX7 guide in hub.mender.io and visit the extensive Mender.io documentation. Displays and Monitors used in Embedded Systems are available in a myriad of configuration possibilities - resistive, capacitive or without touch, single or multi touch, different resolution, density of pixels, pin-out and clock frequency are some examples.